for lovers of all things magical…. to name just a few! It’s unsurprising then, that here at WeBuyBooks, we love to buy used manga. 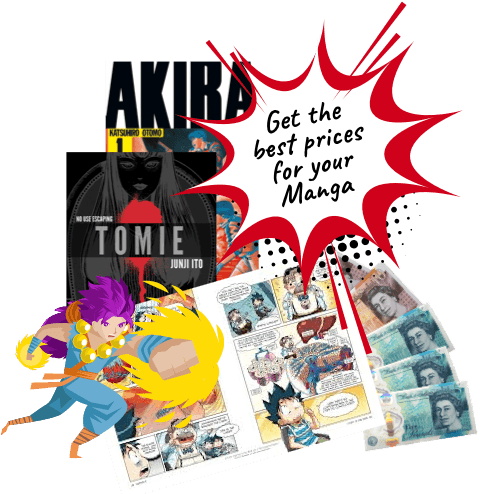 So, if you have an extensive collection of manga that is in need of being cut down, you can exchange your unwanted books for cash easily and quickly with us! How do I sell manga for cash with WeBuyBooks? Simply enter the ISBN or barcode of your book into our selling basket, receive an instant valuation, send us your items, and then get paid! We’re so keen to receive your used manga that we even provide you with a free postage label. Plus, we pay you the very next day after we’ve checked your items! 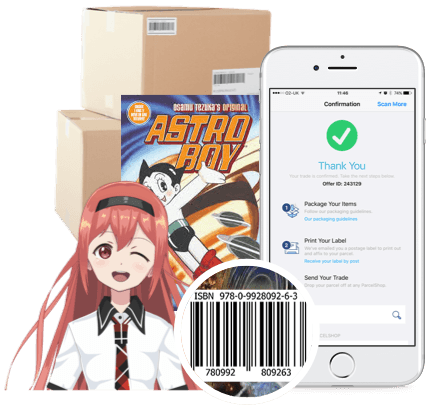 It transforms your phone’s camera into a clever scanning device, meaning you can get valuations for your used manga whenever and wherever. So, even if you’ve got piles and piles of used manga books to sell, it won’t take you long to swap them for cash! What is the best type of Manga to sell? Although you may receive more money for your used manga on auction websites, selling with WeBuyBooks saves you something arguably more valuable – time and stress! If you sell your used manga to us, you won’t have to calculate postage costs, as we provide you with a prepaid postage label. Plus, depending on the titles, we’ll be more than happy to buy your collection in one fell swoop, meaning you can save yourself multiple trips to the post office. Additionally, you won’t have to rely on a stranger to honour their payment promise and wait for them to send you money… as we pay you the day after we’ve received your items! 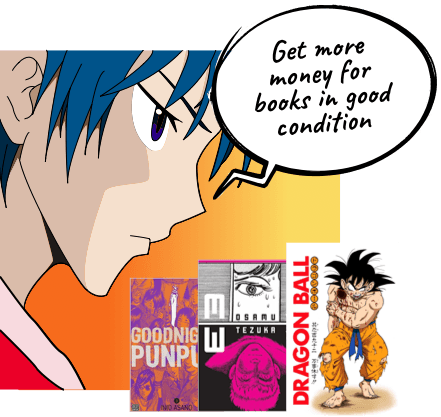 If you sell your unwanted manga to WeBuyBooks, you are guaranteed to have a stress-free, straightforward and swift selling experience. Does the condition of my used manga books matter? We accept books with general wear and tear, but if your unwanted manga books are seriously damaged, with rips, missing pages or damage to the binding, we won’t be able to accept them. We want future owners to be able to see the magic of manga without tears and stains getting in the way! If you’re unsure whether your books are in a sellable condition, just check out our book condition guidelines. 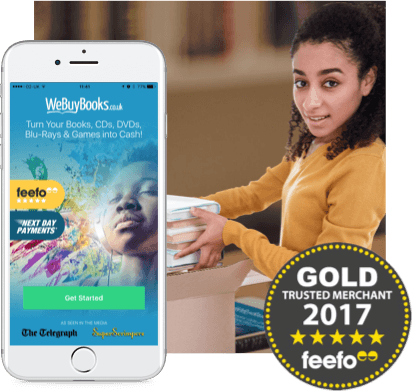 Start making money from your books, games, CDs and DVDs – download the WeBuyBooks app today.